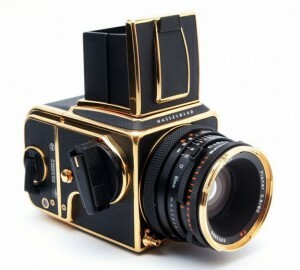 Hasselblad 30 Year Gold Exclusive Hasselblad is generally acknowledged as being the Rolls Royce under the cameras. This special edition was limited to 1400 outfits and comes with an original warranty card and serial numbered box. This one is number 659.